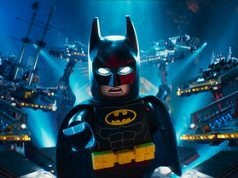 Some of The LEGO Batman Movie sets are now available and we’ve already seen a lot of the sets from the initial wave. 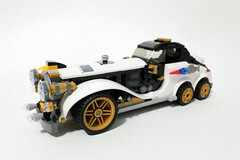 One set that we just seen images of is The Penguin Arctic Roller (70911). 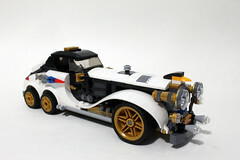 The set has 305 pieces but the price point remains a mystery at this time. The contents of the box include two numbered bags, two instructions, and a small sticker sheet. 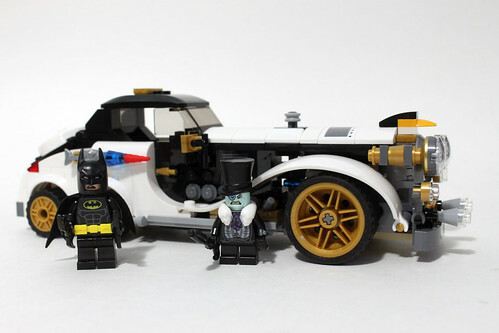 There are only two minifigures in the set, Batman and the Penguin. Batman isn’t that interesting but the main thing to note on the torso is that it doesn’t have the belt printing. 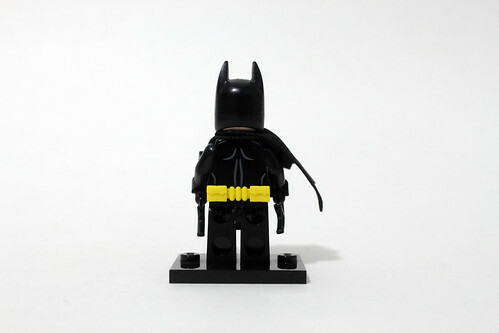 That is because LEGO has released a new utility belt piece that clips between the torso and legs. 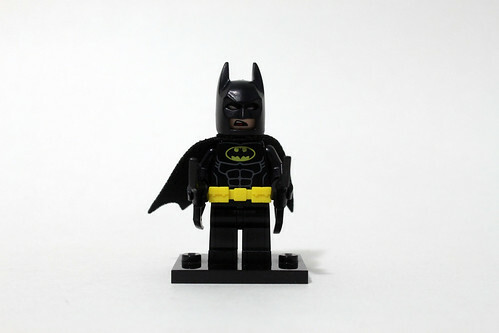 Batman also has a new double-sided head with a serious look on one side and sort of a disgusted expression on the other. 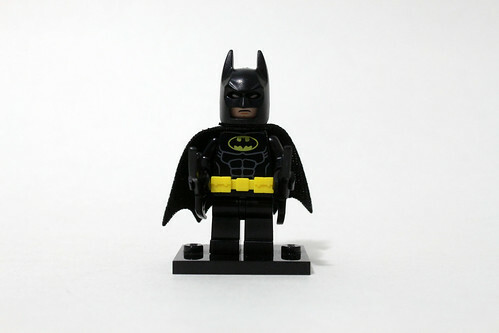 He does have a cape which is the soft fabric kind and his accessories are two Batarangs. 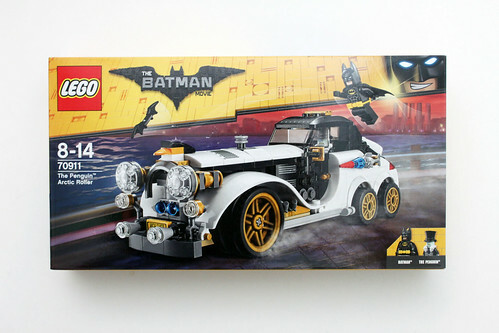 The Penguin is somewhat exclusive to this set as he also in the Batcave Break-In (70909) . The torso is the same with him wearing a suit with cufflink printing on the arms. Around his neck, there’s a new white fur collar piece that looks great. 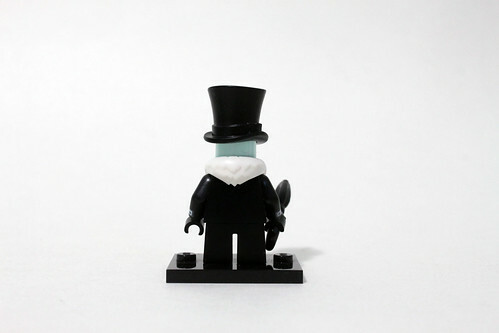 The exclusive part of the Penguin is the head. This version of it has an angry scowl. He also wears what appears to be a new top hat piece. His accessory is a new closed umbrella piece. 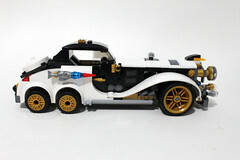 Pretty much the only build in the set is the Penguin Arctic Roller itself and I will say that I like it, a lot. 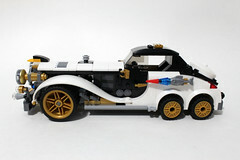 To me, the Arctic Roller has a pretty sleek design and is what you think the Penguin will drive. 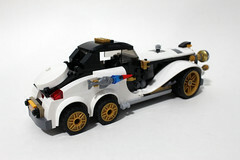 On to the side of the vehicle, the front fenders makes use of the hot air balloon pieces to give it the look. This part use is very effective and this is one of things that stands out the most on the Arctic Roller. 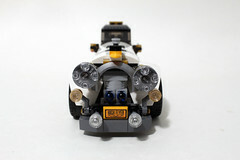 On each side of the car, there are some revolvers which I assume are exhausts. 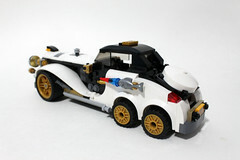 Inside the driver’s seat, there’s only one seat for the Penguin. 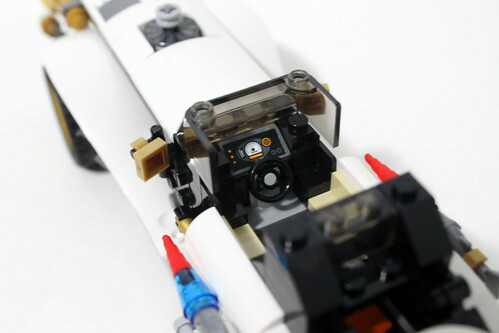 The dashboard is a stickered piece. 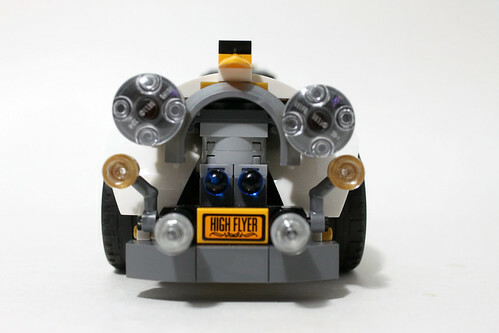 Towards the rear, you have a couple of fish torpedoes that don’t really fire. 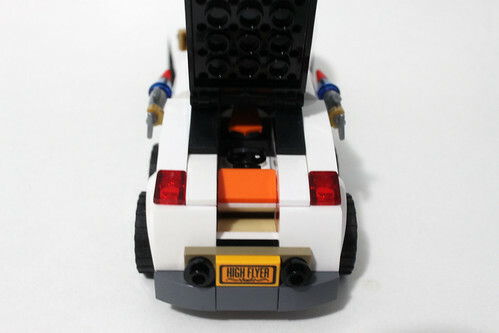 There are four smaller wheels in the back that give a contrast to the large ones in the front. The back of the Arctic Roller has a hatch that opens to reveal a hidden boat for a quick getaway for the Penguin. 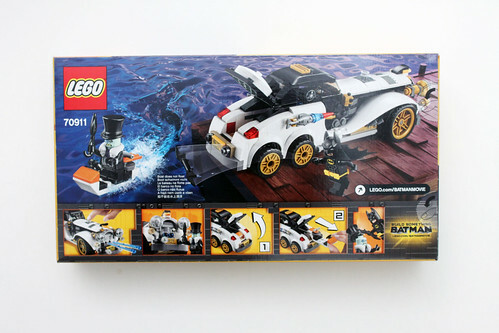 As I mentioned before, there wasn’t any non-leaked official images of The Penguin Arctic Roller (70911) so it was pretty exciting to see it in person when I received the set a few days ago. 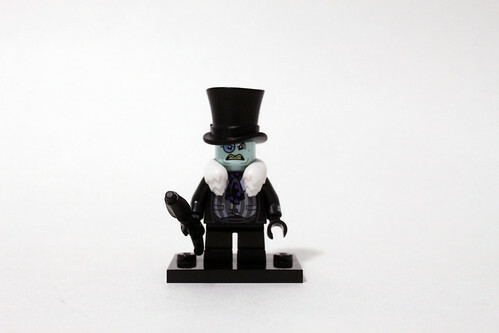 The minifigures are decent although I wish there was at least another one, perhaps a henchman. 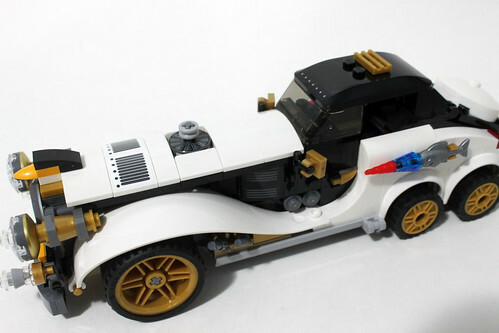 The build itself is pretty straight-forward and as I said before, I like the overall design of it although the front headlights may be a little too much for some. 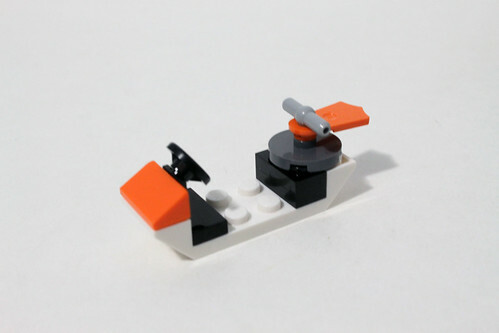 For the little escape vehicle, the instructions show you the correct way to build it but when you put it in the car, you have to turn the rudder backwards so the Penguin can sit in the car. 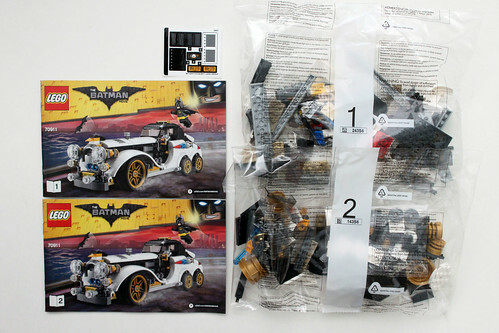 I believe this set will be a store exclusive since there were no image of it when the other The LEGO Batman Movie set images came out. The score below will be updated as soon as there are details.